When it comes to buying property and applying for bonds, knowledge is power. Buying a home is a serious financial commitment, and certainly not one you should rush into blindly. Do your homework properly; speak to an authorised financial service provider such as your banker or broker, but also get to grips with home loan terminology by reading our bond terms glossary. Property: to rent or to buy? Knowing when to buy property depends very much on your personal circumstances. If you're in a transitory part of your life – starting a new job, getting married or considering moving or emigrating – it may not be the best time to be making big financial decisions. Buying a property – and repaying a bond – is no short-term commitment, and it's generally a good idea only to buy once you're fairly settled and financially secure. Yes, now is the best time to get into the property market, but certainly not if your income is going to be erratic for the next year, or if there is any reasonable chance that you're going to be experiencing cash flow problems. Reduce your own financial risk exposure – only consider buying a property when you're in a good position to do so. CURIOUS ABOUT YOUR CREDIT SCORE? Sure, renting from a landlord means paying off his or her asset, but it also limits your own financial commitments, and will ensure that your accommodation-related expenses remain constant for the duration of your lease agreement. When it comes to buying a property, how much you can afford is influenced by a range of factors – your total income, total expenses, the nature of your income-generating activities as well the medium term economic prospects all play a role. Some property investors may argue that buying a bigger (more expensive) property will increase one's potential return on investment, yet there are no guarantees that this strategy is fool-proof. Even if you are able to get a “bigger” bond approved in accordance with the National Credit Act, unexpected interest rate increases could still increase your monthly bond premiums to the extent that you can't keep up with the repayment schedule – and then what? Not spending the maximum bond amount you can qualify for is not a bad idea inasmuch as it “builds in some fat” and protects you against economic factors beyond your control. Buying a cheaper property thus means that you are not as vulnerable to interest rate hikes as you would be if you'd gone for the biggest bond possible. When you're using a bond calculator, be sure to take ALL your regular monthly expenses into account, and also allow for those unexpected expenses – medical and dental expenses, speeding fines, annual tuition fees, property related levies, birthday presents and holidays don't pay themselves! Buy property for now – and later! Although you may wish to get into the property market as soon as possible, you would do well to consider what your property-related needs will be in five years' time. Will you still be single and living on your own, or will you be living with someone else? Will you be starting a home business, or a family? Will your home's locations still be suitable in terms of where you'll work, and will the boho neighbourhood you enjoy so much be suitable for raising children in? When it comes to buying the right property, location is key – not only in terms of suiting your lifestyle requirements, but also to ensuring that your investment grows (“appreciates”) over time. Property is a not very liquid investment category. Be prepared that you will probably need to hold onto your home – and bond – for several years before you could sell it and make a profit. Given the cooling property market, chances are that you could end up making a loss on your home if you need to sell it after only a year! It is therefore critical that you're in the right stage of your life, and that you truly can afford what you buy. Buying with friends or family members can help you get into the property market earlier – yet it could also leave you stuck with having to foot their bond contribution if things go sour. 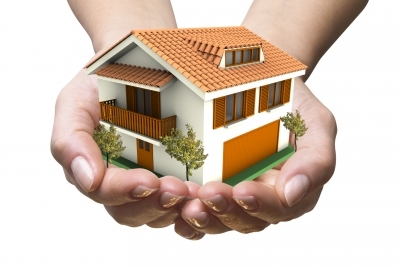 Should you choose to co-invest in a property, it is probably a good idea to consider getting an “income protector” or similar type of bond cover or life assurance cover policy for all the parties investing in the property. All the parties should also consider their own medium-term property needs – what if you and your mates all got hitched with live-in partners? Would everyone be happy with running your home as an adult commune? If not, will you all be able to formally agree to how the arrangement is to be managed? Choosing the right type of bond for you will again largely be influenced by your own circumstances, property-related needs and financial position. Be sure to discuss these at length with your bond originator or authorised financial services provider, and get as much bond information as you can. It's one of the most crucial financial choices you'll need to make, as it has long-term financial implications. South African bond companies tend to offer a range of bond solutions ranging from interest rated linked home loans and fixed-rate bonds to variable-rate mortgages and second mortgages. Understanding the difference between these types of home loans is key, as it will enable you to choose the right type of home loan to suit your needs. Applying for a bond tends to involve a fair amount of paperwork – always read carefully before you sign anything, and be sure to ask for more bond information if you're not sure what a particular contractual clause means. Make sure that you know exactly what your contractual obligations are, and have your bond originators explain how different case scenarios would affect you financially. Buying a house comes with a range of additional expenses. Property levies, property taxes, maintenance and bond cover all add up, so be sure to consider and list all your expenses (and potential expenses) before you apply for a bond and commit to buying a property. Did you know that the process of buying a house involves lots of legal contracts? Make sure you are empowered with world-class legal advice to save you from any fine print disasters that might harm you. Need A Home Loan Or A Pre Approval? Can You Pay Your Bond with Your Credit Card? mybondquotes.co.za is not a financial services provider. All content provided on this site is for information purposes only and in no way constitutes legal or financial advice.